Restaurant owners are terribly busy business people, especially those who own multiple restaurants. Restaurant bookkeeping can be a tedious and time consuming activity. Time the majority of restaurant owners do not have. Other restaurant accounting needs such as tax preparation or business plan creation may even be beyond the scope of ability for most restaurant owners. Jeff Garcia, CPA provides all of these services and more. 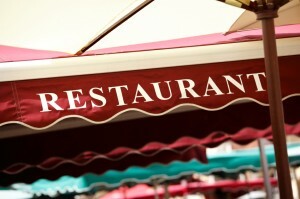 At Jeff Garcia, CPA we offer restaurant accounting for restaurants of all sizes and styles. Our restaurant accounting services are tailored to the individual type of restaurant. From fast food to fine dining, from single outlet to multi-unit businesses, we have the ability to handle all restaurant accounting needs. For owners who simply want to keep their records organized and view financial reports periodically we offer basic restaurant bookkeeping services. Our restaurant accounting professionals are all experienced with proper accounting methods and the latest taxation policies to help the business owner get the most benefit from their particular situation. Other owners are looking for more in depth restaurant accounting services. We offer tax planning and preparation, audit representation and even bill payment services. For aspiring restaurant owners or owners seeking to expand we offer business planning and projection services as well as business valuation services. We will even help create bank presentations and coach a client through the process. All of these services can be provided a la carte or can be bundled together to create a customized package of services. If you have an accounting question or would like to discuss our accounting methods in more detail please call us Toll Free at (888) 933-food(3663) or (713) 621-1142. Restaurant accounting for restaurants is all we do at Jeff Garcia, CPA. The services we provide allow our clients to concentrate on operating their restaurants while we handle the accounting. This keeps our clients satisfied and client satisfaction is our number one goal.